Khush joined KPMG in 1999 and qualified as a chartered accountant within the Audit practice. 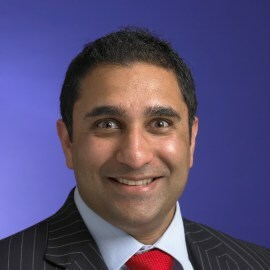 Prior to KPMG, Khush spent three years at a FTSE 250 leisure group, where he was a strategic analyst based overseas working on a number of commercial projects. Khush transferred to KPMG’s Corporate Finance practice in 2004 and has spent the last 14 years advising companies on strategies, mergers, acquisitions, disposals and refinancing and recapitalisations. In that time, Khush has advised on over 50 deals with an aggregate value in excess of £2.5 billion. Khush is Head of KPMG’s Corporate Finance practice in the Midlands, and has a national focus on the Children day nursery care sector.